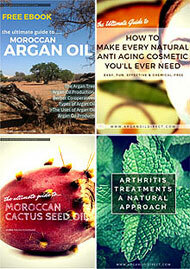 What is in Argan Oil? 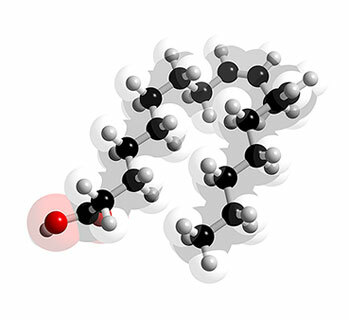 Triterpenoids are biologically active substances. The major constituents of the triterpenic fraction of argan oil are tirucallol, beta amyrine, butyrospermol, and lupeol. 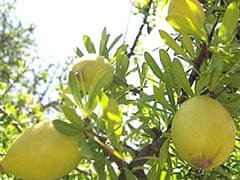 The Argan tree is rich in saponins. More recently, Saponins have been proposed as protective agents against infective fungi and additionally against bacteria and protozoa and are linked to anti-cancer activity. Saponins are found in many plants and in the animal kingdom. They have a soapy character due to their surfectant properties. Argan oil is rich in linoleic acid which increases the production of prostaglandins 1 and thus is beneficial for people with rheumatologic conditions and cardiovascular problems. It is active in the maintenance and repair of the membrane that encloses the cells.More than 80% of Argan oil’s fatty acids are the unsaturated acids oleic (43%) and linoleic (36%). Oleic fatty acid is a monounsaturated fatty acid that helps reduce blood levels of LDLs (“bad cholesterol”). Because Argan Oil is rich in vitamin B, it can be eaten without taking in too much fat. Linoleic is a polyunsaturated fatty acid or essential fatty acid that cannot be synthetized from out body and thus has to be brought from outside. Polyunsaturated fats help lower the level of LDLs and therefore have often been recommended to reduce coronary heart disease. Plant sterols have incredible effects on the health of your skin. Ingested from foods they are processed into substances that protect our skin from aging. A good supply of phytosterols is essential to maintain a healthy and youthful looking skin. Sterols in Argan Oil are relatively rare in their combination compared with all other vegetable oils. In fact there are no other vegetable oils with a comparable composition! Research suggests that increased consumption natural food oils gives a significant decreased risk of developing cardiovascular diseases as well as cancer. 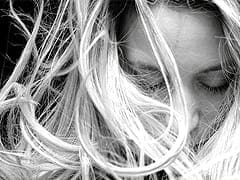 Two leading scientists Theresa J. Smith en Harold L Newmark suggest that this effect is due squalene. Olive and palm oil hold a concentration of a about 0,5% of this substance. Argan oil contains relatively high contents of squalene around 310 mg/ 100g). In countries around the Mediterranean sea an high squalene consumption (200-400 mg per day= 2 capsules) through the intensive use of olive oil was observed. For lovers of olive oil and olives this can amount up to one gram per day per person. Roughly the same amount applies to the average consumer of palm oil in Asia. One of the most powerful Anti-oxidants is Tocopherol/ Vitamin E.
Alpha-Tocopherol and gamma-tocopherol are the two important forms of vitamin E in humanplasma and the primary lipid soluble antioxtdants. 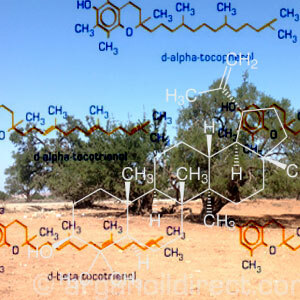 Alpha tocopherol makes up 69% of the tocopherols found in Argan Oil. Antioxidant flavonoids and Tocopherols found in Argan and cannot be synthesized by the body. These antioxidants are involved in many activities including: promoting good circulation and acting as a natural anti-inflammatory. Argan oil is about twice as rich in tocopherol as olive oil (620 mg/kg vs. 320mg/kg). 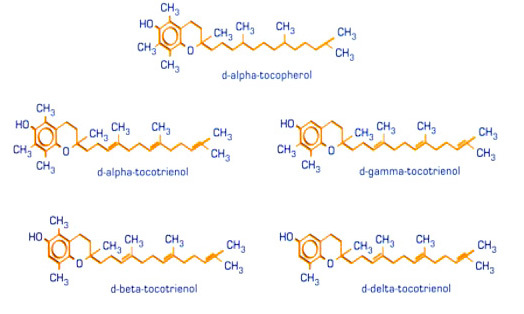 The main tocopherol is by far alpha-tocopherol (69%) whose eutrophic activity of well known, beta and gamma-tocopherol are found in roughly equal proportions (16% and 13% respectively), deltatocopherol is a much minor component (2%). Gamma tocopherol can protect against nitrogen-based free radicals, which alpha tocopherol cannot do. 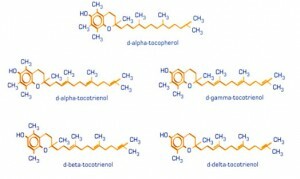 Researchers found that large doses of alphatocopherol depleted plasma levels of gamma tocopherol, while the presence of gamma-tocopherol promoted the accumulation of alpha-tocopherol. Aging is associated with a decline in plasma levels of gamma tocopherol, but not of alpha tocopherol. Phenolic compounds are produced by plants, microorganisms and industrially. Phenolic compounds are synthsised in response to ecological pressures such insect attack, physical wounding and UV radiation. They are also found in food and plants that are used in natural medicine. 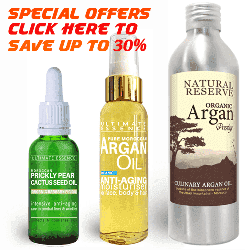 You can buy directly from some web pages where you see the add to cart buttons or visit our full online store to see our full range of cosmetic and culinary Argan Oil products. All prices that you will see include Free Delivery Worldwide.